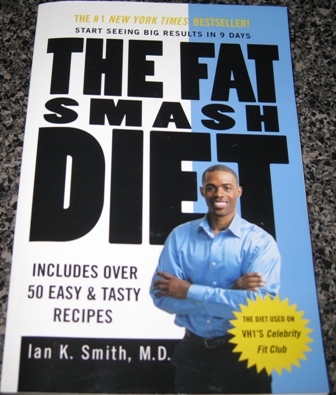 As I mentioned to you in my previous post about the Fat Smash Diet, there are 4 different Phases you go through during this program, and each phase has a list of suggested and excluded foods. Some of the excluded foods in one phase are being introduced back into your diet in the next phase, so for ideal success, you need to follow these food suggestions, eat 3-4 smaller meals per day, follow the same eating schedule, and continue to exercise. Just think, this phase is only 9 days long….you can do it! !